We decided to go to this restaurant that had hibachi grills. My boyfriend wanted hibachi and I figured I should be able to figure something out, food wise, as most Asian foods are workable to my diet. There’s almost always some soup,salad or seafood entree that I can eat. And that always makes me happy. At Hanabi, the appetizers sounded really good, so I tried these two. And they were perfect! My only complaint was that I couldn’t get enough! The avocado sashimi was so well balanced! 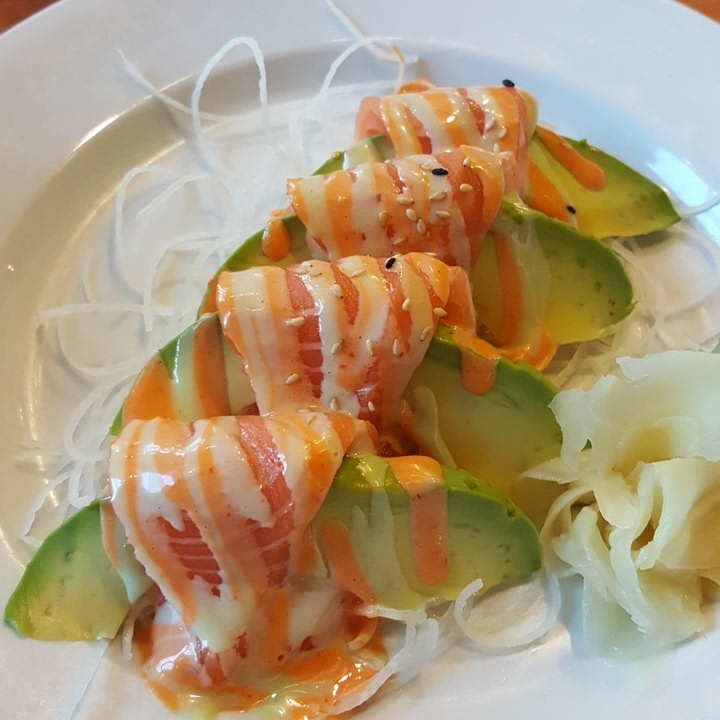 The sauce on top wasn’t overwhelming, I could still taste the avocado and the salmon equally. 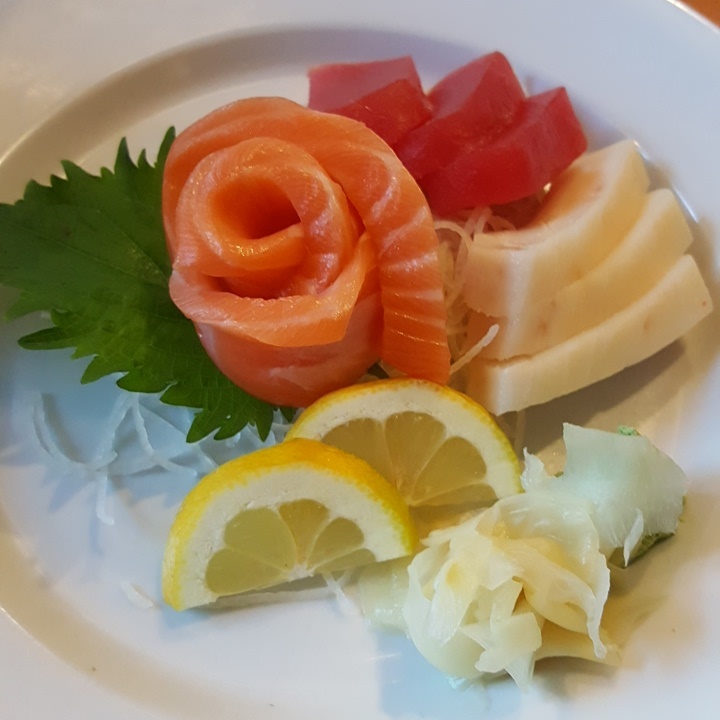 And the Sashimi appetizer had nice and thick slices of fresh sushi that was smooth and buttery. The more I ate, the more I wanted!